Get Off the Couch and Find Something Interesting! Recently, I was facilitating a meeting around getting some activity into our lives – and doing it a bit differently. It is easy to say “I’m going to get off this couch and get moving!” and an entirely different matter to turn off the TV and actually DO something. Looking for something different and unusual can be motivating – so I searched for some ideas that would be a little different than taking a stroll around the neighborhood. Here are some ideas around my neck of the woods – if you don’t live near Portland, Oregon, how about searching “unusual places to go in ________” (fill in the blank) and let me know what you find! (This posting is also available under the Day Trips tab). 1. Ranier Oregon – Largest captive Sloth preserve in the world. No sloths in Oregon since prehistoric times. The giant arboreal anteaters have found a safe haven at the Sloth Captive Husbandry Center or Sloth Center, dedicated to care of and research on these unusual animals, as well as the propagation of the species and public education programs on conservation strategies. The associated Zoological Conservation Center works with the Sloth Captive Husbandry Center and cares for a variety of other unusual creatures including primates, wolves, anteaters, lemurs, and the adorably tiny Fennec fox, native to the Sahara desert. Some of Oregon’s native local wildlife also inhabit the center, such as opossums and the North American porcupine. Although the center is primarily a conservation facility, tours allow visitors get up-close encounters with the animals in their care. The center differentiates itself from traditional zoos by allowing visitors to interact with animals without any barriers. To protect the animals, they strictly limit their tours to small guided groups which have the rare opportunity to spend long visits, meeting the animals up close with the possibility of holding and feeding them. 2. The Witch’s Castle. In the mid-1800s, well before the structure was built, a man named Danford Balch bought a large portion of land around the area while Portland was still in the process of being developed. It was a big enough area that he had to hire help to clear the area, so he hired a man named Mortimer Stump, who lived in the cabin on the property with Balch’s family of 10. Over time, Stump and Balch’s daughter Anna fell in love, and eventually Stump asked Balch for his Anna’s hand in marriage. Balch refused, resulting in Stump and Anna threatening to elope. Balch became infuriated and told Stump that he would murder him if they did. The young couple didn’t heed the warning, and decided to elope in November of 1858. When Balch learned of the elopement, he became deeply depressed, which led to days of no sleep and of heavy drinking. When the young couple returned to Portland, Balch quickly remedied the situation as he saw fit: He shot Stump in the face with a double-barreled shotgun while all were aboard the Stark Street Ferry. Balch was quickly arrested, but was able to escape from the wooden jail he was held in. This led to his execution in mid-October of 1859, which became the first legal execution in Oregon. After Balch’s death, the property was passed around through different hands down the next century, eventually bequeathed to the city of Portland. In the 1930s, the stone structure that is seen today was built near the site of the Balch homestead. 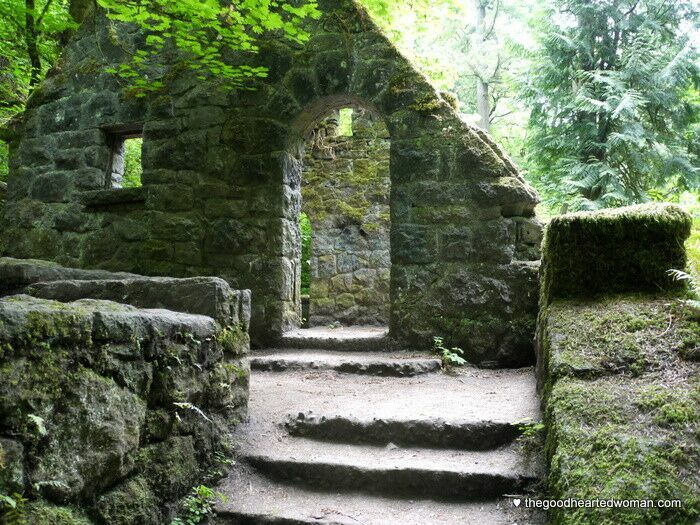 It was maintained by Portland Parks and Recreation, and was used as a park ranger station and restrooms for hikers. In 1962, the structure was heavily damaged in a storm and was abandoned. Moss soon covered the stone walls, the roof caved in, and some people graffitied its walls. It was mostly forgotten until the 1980s, when local high school students found it was a fun place to hold parties. The students named it “the Witch’s Castle” (despite no connection to witches) and made a tradition of holding gatherings on Friday nights, something that still happens today. Know Before You Go: The Witch’s House is an easy half-mile hike from the Upper Macleay Parking lot near the Portland Audubon Society, or a slightly longer three-quarter mile jaunt starting from the Lower Macleay Parking lot at at NW 30th and Upshur. One can take the Aspen trail to get there. A great way of accessing the trailhead is to walk up on Thurman Street. 3. The FreakyButTrue Peculiarium. According to the Peculiarium’s website, the shop and art space was established in 1967 by a Portland, Oregon explorer named Conrad Talmadge Elwood whose love for all things weird, freaky and zany caused him to have a dream of the store which he promptly forgot. While Elwood’s story is suspect, the fabricated origin is perfectly in character for the shop which seems to celebrate pranks and hucksterism. Know Before You Go: Open every day 10:00 a.m. to 8:00 p.m. Easy to find, on a neighborhood street with parking. $5 admission but free in costume or with a cute, well-behaved dog, cat, iguana, Gila monster, parakeet, boa constrictor, or whatever (generally) non-lethal creature you consider to be your pet. 4. 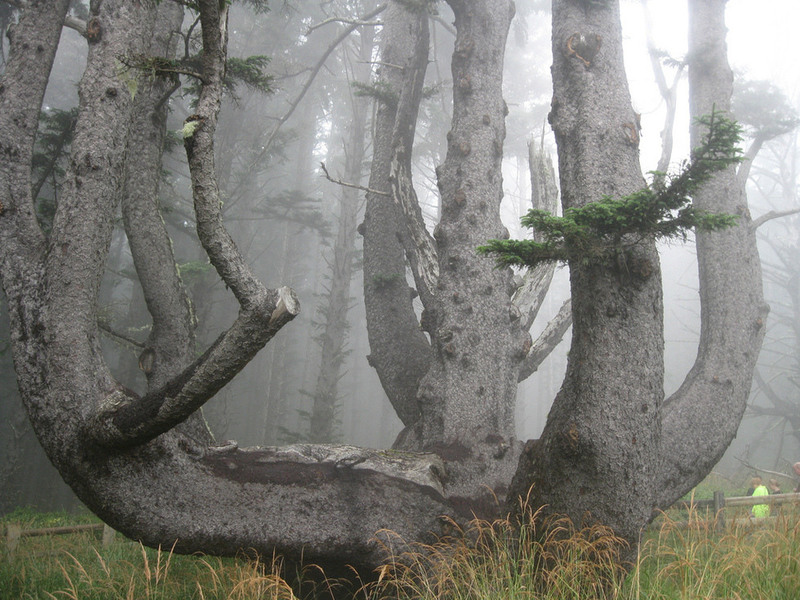 Octopus Tree of Oregon: Located at the Cape Meares State Scenic Viewpoint, the oddly-shaped, and even more oddly-named Octopus Tree of Oregon is a massive oddity, the origins of which are uncertain. The Octopus Tree (also known as the Council Tree, the Monstrosity Tree, and the Candelabra Tree) is believed to be around 250 to 300 years old. The tree itself extends from a central base that is nearly 50 feet around, and instead of shooting straight up with a central trunk, the body of the tree splits into a number of smaller trunks. The bizarre arbor has long been an attraction but the origins of its odd shape are up for debate. Some believe that the huge Sitka spruce was simply shaped by natural conditions such as extreme weather. Others have developed the theory that it was the American Indians in the area that trained the tree into its cage-like assortment of thick vertical trunks. It is believed that they created the tree to hold canoes and corpses for ritual purposes. However the tree came to be, it is still protected as a popular attraction by a short fence and its importance is explained by an informational sign. There are no octopi at the site, but hopefully this weird tree is interesting enough that that won’t be much of a disappointment. 5. 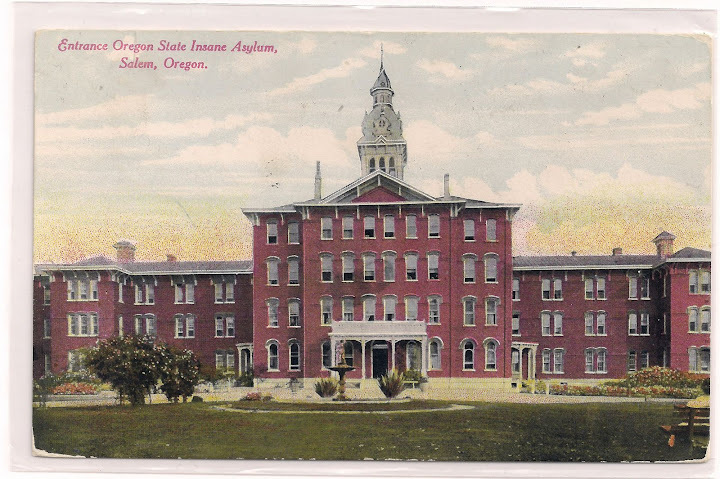 Oregon State Hospital Museum of Mental Health. The museum is brimming with odd artifacts, strange outdated machines, and historical mementos left behind by those who lived and worked in the state hospital over the last 130 years. These exhibits reveal the history of the hospital using both the echoes of the insane and the seemingly insane medical treatments of the past. The hospital was built in 1883 and has been used to house those with persistent mental health problems ever since. It has been estimated that roughly two thirds of the patients who have lived there over the last century were found guilty of crimes and were also found to be insane. Others were presumably a threat to themselves or to others and all were locked into the asylum for varying lengths of time. The museum has collected everything to do with mental health – from patients’ possessions and straitjackets to antique medicines and outdated treatment devices – even housing a suppository machine that was patented in 1924 by a man appropriately named Applebum. The non-profit Museum of Mental Health is located in the oldest building of the asylum that is is still standing. It has permanent exhibitions that chronicle the hospital’s history as well as rotating shows. It showcases pieces of unidentified equipment in an attempt to figure out their uses as well as those that are known parts of its legacy. A recent acquisition is a newly restored vintage television that was part of a famous baseball scene in the Academy Award-winning film One Flew Over the Cuckoo’s Nest, which was filmed at the hospital. One of the most-visited rooms in the museum is a permanent exhibit commemorating the film. Campbell is part of a group of people around the world known as the Aircraft Fleet Recycling Association (AFRA). 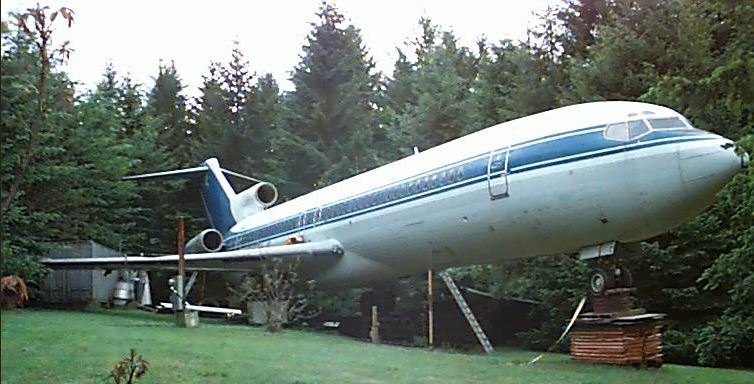 The members of AFRA share a similar view of turning retired airplanes in to homes or other creative spaces. On a recent tour of the plane Bruce told the group about his plans for restoring a Boeing 747 in Japan, where he spends the other six months out of the year. And what’s the draw of wanting to make a permanent home inside of an airplane? Campbell is happy to offer tours of his airplane in the woods. One need merely contact him via his website to schedule a time. 7. Mt Angel Abbey Museum. Houses the world’s largest pig hairball. 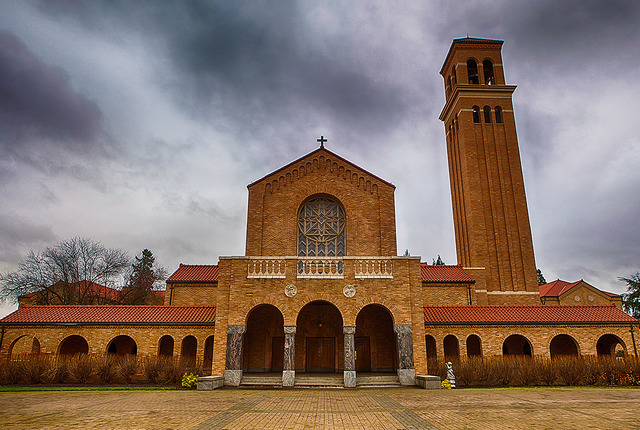 The Mount Angel Abbey Museum is a very eclectic collection put together by the community of Benedictine monks that live and work at the abbey of Mt. Angel, Oregon. But the museum isn’t the only reason to visit. Established in 1882 by the Abbey of Engelberg, Switzerland, the abbey is located on the top of a scenic 485-foot high butte. The bulk of the museum is comprised of rocks and minerals, antique liturgical vestments and religious items, American Civil War memorabilia, and, the biggest draw, mounted animal dioramas. The collection of taxidermy features an American Bison, a calf that was born with 8 legs, a two-headed cow, and a giant hairball from a pig on the Abbey’s farm. The museum has recently been renovated and cleaned up quite a bit reducing some of the charm and homeliness of the experience (previously you had to track down a key from one of the monks that let you into a large closet dominated by the buffalo). Know Before You Go. Once in Mt. Angel, turn east onto Church St./College Rd. After less than a mile, look for signs up the hill to St. Benedict’s Abbey and follow the road to the top. The museum is on the south side of the Abbey, at its far eastern end. 8. Portland Horse Rings. Tiny horses tethered to antique horse rings around the city. Tiny horses have been taking over Portland’s streets for decades. Look down, and you’ll likely find some tethered to one of the antique horse rings scattered throughout the sidewalks. Scott Wayne Indiana, a Portland resident, began tethering toy steeds to the horse rings in 2005. His quirky personal art project soon took off. Before long, other Portland residents were adding their own tiny horses to the herd. Now, many of the city’s horse rings have plastic ponies attached to them. Locals have long been tethering toy horses to the rings scattered throughout the city. The trend shot off at a gallop after Indiana’s Portland Horse Project gained traction. More than a decade since Indiana’s first toy horses descended upon the streets, people still have yet to rein in their enthusiasm for the project. People leave treats, tack, hay, and riders for the little equines (and their occasional dinosaur friends). One Portland couple even got engaged after meeting because of one of the horses. In addition to adding a fun touch of equine whimsy to the streets, the Portland Horse Project also preserves an often overlooked part of the city’s heritage. The horse rings date to the 19th and early 20th centuries and hark back to a time when horse-drawn carriages were the main method of transportation. Over time, Portland began losing these small relics of its horsey history as construction tore up its streets and sidewalks. But in the 1970s, one of its residents began complaining about the lost rings and thus spurred their preservation. Now, the rusted circles are protected and must be replaced following any construction. 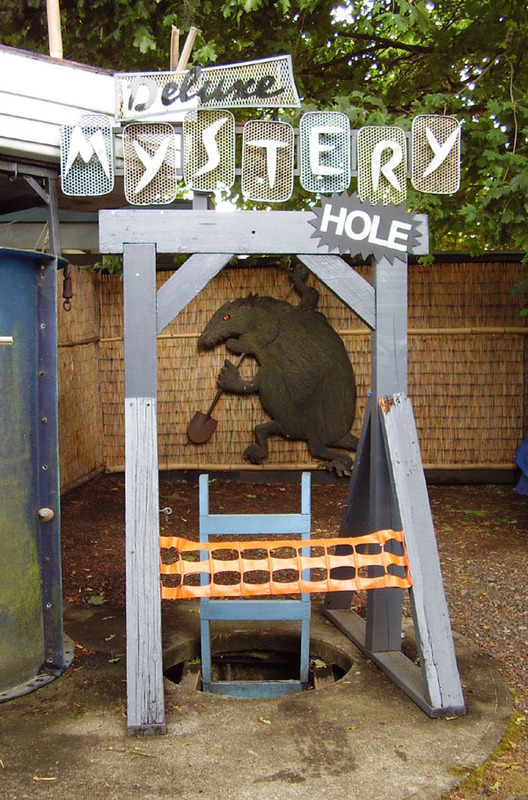 No one is entirely certain of how the Mystery Hole came to be, though the majority of experts and theorists agree that it was not formed by natural forces. Adding to the Hole’s mystery is its uncertain depths, though the general consensus is that it’s very deep. The “Black Obsidian Mirror of Higher Truth” serves as a portal to show visitors their darker sides as they descend into the Mystery Hole. Once inside, visitors are encouraged to absorb the experience with all their senses. Deeply inhale the Enchanting Vapors of Encouragement. Read Portland’s cryptic history from the ancient glyphs and runes adorning tunnels leading to the famous Giant Double Arch that is perfectly aligned (at a slight angle) with the North Star. Strain against the ages while tugging at The Door That’s Never Been Opened. And it’s these colorful little trolls that you’ll find under an old trestle railway bridge on the outskirts of Portland, Oregon. Drive along McNamee Road (known as “McGnarly Road” by local cyclists for its challenging hills) and you’ll pass beneath the bridge, surrounded by shady woodland. Here, along a series of weathered wooden planks, you’ll see the trolls. 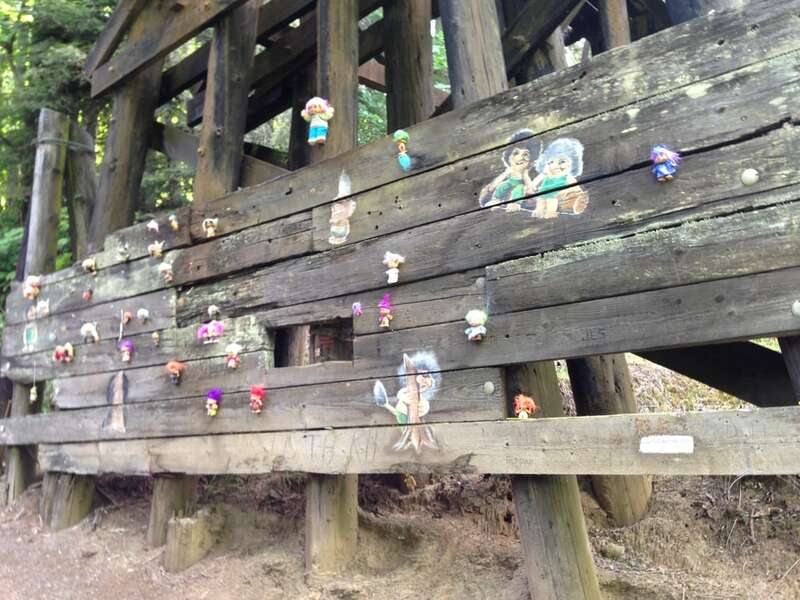 Over the years, locals have been affixing troll dolls to the wood, alongside a few trolls painted directly onto the planks. The colony of colorful little trolls has an unstable population, as nefarious humans occasionally pilfer the poor things. Thankfully, kindhearted humans living in the area replace them with fresh trolls, keeping the collection alive. Know Before You Go: To get to the troll bridge, head northwest out of Portland on NW St Helens Road. Take a left along McNamee Road and you’ll soon reach the bridge. Don’t forget to bring a troll to add to the colony. Great suggestions. Thanks and loved this post! Can’t wait to check these off. This will help me with my goal to get out of the house! Interesting outings! I hope we hear from readers about unusual places where they live! Thanks for commenting! It would be so much fun to hear of odd and unique places all over the world that we can visit. So much more interesting than viewing one more statue…..